Who Holds the Cards in Pakistan? ISLAMABAD, Pakistan — Speculation has been rife in political circles recently that Pakistan’s president, Gen. Pervez Musharraf, may not survive his wrangle with the chief justice and hold on to power, but a great silence emanates from the one place that may count the most: the barracks and the mess halls of the armed forces, the other great part of Pakistan’s ruling equation. What the army thinks about the political logjam, and what it decides to do in the event of continuing stalemate, instability or violence, will be the defining factor in General Musharraf’s future, most commentators agree. If and when the army feels it is being damaged by its association with General Musharraf, and his insistence on retaining the dual posts of president and chief of army staff, they will act to safeguard the reputation of the army, they say. Historians and columnists have been outlining the precedents, recalling how Pakistan’s three previous military rulers exited from power. None of the departures came in happy circumstances, and none bode well for General Musharraf, who took power in a bloodless coup in 1999. The longest ruling general, Mohammad Zia ul-Haq, who seized power in 1977, died in 1988 in a plane crash, the cause of which still remains a mystery. The strongest possibility is that the plane was brought down using a bomb. But according to one theory, the plane crashed after the crew was disabled by knockout gas hidden inside crates of mangoes — a gift that was put on board the presidential plane at the last minute. This being the mango season, the old story has gained a lot of currency lately. “He either goes the mango-crate way or he goes gracefully,” one military officer said. 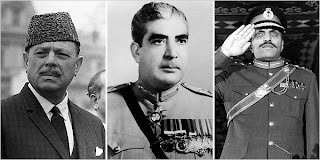 Pakistan’s other two military dictators in its turbulent 60 years since independence were forced out by fellow officers. Gen. Mohammad Ayub Khan, who ruled from 1958 to 1969, was isolated, unpopular and sick by the end, and after months of popular unrest was replaced by another military man, Gen. Yahya Khan. General Yahya Khan promised a return to democracy and held probably the fairest elections Pakistan has ever seen. But after war and the breakup of Pakistan in 1971, when Bangladesh gained independence, his fellow officers forced him to resign and hand over rule of what remained of Pakistan to the civilian political leader, Zulfikar Ali Bhutto. General Musharraf, the fourth military ruler of Pakistan, has already survived several attempts on his life, and with suicide bombing on the rise, and Al Qaeda and the Taliban in the hills, the possibility of assassination remains — even if he should step down. But the general is showing no readiness to give up either of his posts, president or chief of army staff, though the terms for both jobs expire toward the end of the year. In a recent interview, he said that after a life in the army, his uniform was like a second skin to him. But if his stubbornness is met with more demonstrations, challenges in the courts and possibly civil unrest, the army command will grow increasingly concerned. Well aware of the importance of backing within the army, General Musharraf called a meeting of his corps commanders and principal military staff recently, apparently to ensure their support. The military public relations service issued an unusually long news release in that vein. “The Corps Commanders and Principal Staff Officers of the Pakistan Army affirmed to stand committed for the security of their country under the leadership and guidance of the President and the COAS,” it read, referring to the chief of army staff. Issuing such a statement is unusual and brings to mind the vote of confidence that often presages the end for a cabinet officer or, in sports, a manager or coach. In effect, several former members of the army said, such assurances only underscore the general’s insecurity. The military officer said he had not seen a commander calling for such a statement of support in more than 30 years in the army. “The statement was a mistake,” he said. “The army is not a political party,” he said. “People do not have to swear support for their leader.” An army officer takes an oath to uphold the Constitution, not his commander, he added. A veteran opposition politician, Enver Baig, was more definitive. 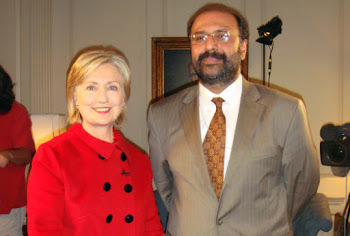 “The military backing he had, has definitely eroded,” he said, speaking of General Musharraf. The discontent with General Musharraf is seeping into the lower ranks as well. “The midlevel officers are becoming restless,” said Ayesha Siddiqa, a military analyst and author of a recent book on the military’s enormous economic clout that has angered the military leadership. 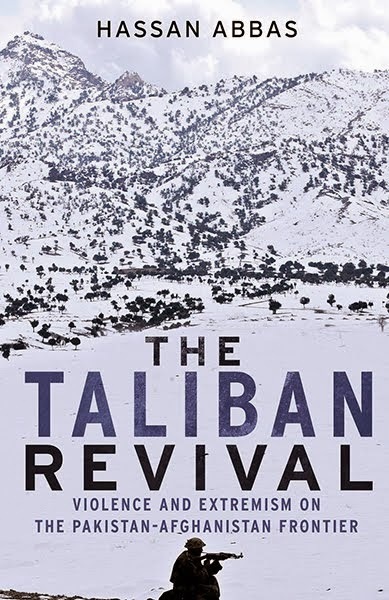 In the North-West Frontier Province there is growing frustration among military and intelligence officials over the rising lawlessness of Taliban militants, and the president’s apparent lack of concern and direction, senior officials say. The National Security Council, which considered the problem in early June, promised more police officers and resources. Meanwhile, military officers no longer feel comfortable going around Peshawar in uniform, said one former officer from the province. Faced with such discontent, the mood in the military is not for another general to take over, but for the country to restore civilian rule, he and several former members of the military said. But who will tell the general to go? After nearly eight years in power, General Musharraf has personally picked all the top military and intelligence leaders. He will remain secure as long as he retains the support of four or five of the nine corps commanders, Ms. Siddiqa said. Military officers, especially senior ones coming up for promotion or retirement and eager to keep the privileges they have earned, will not speak out of line to the chief of army staff, the officer said. On ARY TV recently a very interesting debate was presented in which the defence minister tried to tell people about Pakistan’s invincibility and military might, I could not stop laughing. He did not have any clue about army. If we try to carry out a strategic inquest of military’s strength like you did about its business activities, we will be taken aback how much are we befooled and how army over-rates itself. Lets start with navy. It is badly under resourced, only development is Augusta Submarines, P3 Orian aircrafts, and few frigates. There is no concept of naval aviation, or fleet carriers not even on papers, or even ground test for futuristic naval air force. There are no antiship missiles which are fast, effective and of longer range. Airforce has F 16 which will be grounded in next 15 years due to lack of spare parts etc. The heavy weight J 17 does not have fly by wire system, carbon fibre airframe, or even minimum stealthy features. It will be taken out like flies by Indian Sukhoi 32 and 35 air crafts, of Russian origin, which are extremely advanced aircrafts. Rest of Pakistani fighter aircrafts are old, outdated and should be scrapped. There is no air refuelling capability, there is no concept of military choppers, gunship choppers apart from few cobras and others. Transport choppers are non-existent; everybody knows it, from Kashmir earthquake. Imagine fighting a war without transport choppers. There are no high performance air to air missiles to chase and shoot down Indian superior plains. Anti radar missiles are virtually non-existent. There is no concept of engine manufacturing even in next 20 years. Ground forces run about in small jeeps, Toyota mini carriers which are not for amy use at all. Army claimed to have APC manufacturing capability years ago which don’t seem to have entered in service on a general scale after years of claims. Concept of a modern soldier is not there even in comparison to world war II level. Anti tank missiles are old and out dated. Modern artillery, and command/ control system is not there. Mass mobilisation of forces is not possible by air due to sever lack of military transport. If we talk of ballistic missiles and nuclear warheads, they are very crude, electronically ill sophisticated. We don’t even know their specifications, or test reports, data, which is still a secret, surprisingly Indian, and American, basic missile information is widely available, to military press. In foolish assault on Kargil, they threatened with nukes, which did not exist at the time. It was bluff to Pakistani nation not to India. Even if they had capability, even to think of nuclear strike was psychotic and suicidal leading to destruction of entire subcontinent over the head of a foolish quest. This reflects how low IQ Pakistani military minds have to think. So due to inferiority in conventional means of warfare, as Pakistani military sources make us believe the so called nuclear deterrence, will theoretically come into play very quickly. What will happen then. It means that without an army capable of a very sophisticated and advanced conventional warfare concept, the idea of nuclear deterrence appears very dumb from all possible angles. Moreover Pakistan army is far inferior in computerised, and electronic technology compared to India which has extremely advanced and large electronics manufacturing industry, and of course the multibillionaire computer tycoon, owns more money than Pakistan’s state bank’s foreign currency reserves which government uses as a foolish slogan, to impress who? This subject is very vast and you can write books on it. Military should seriously go back to barracks and do its work, let political and state institutions strengthen, grow and let constitution govern this country, defend and guard ideological, constitutional boundaries instead of running them down. Now adding insult to injury army’s in service and retired personnel are right in the business, trade, politics, and establishment, instead of strengthening their structure and power, and combat capabilities which is seriously undermined. Conspiring against its own institutions, and criminal acts to remove unwanted faces, like Zia and his teams planned murder, which executed by army itself is the darkest example of internal terrorist activity against its supreme command, which was enquired into at highest level without any result. It is disgusting tale, of greed, dishonesty, betrayal, fraud, conspiracy against state and people. We are at point of no return, we are afraid when the bobble will break.